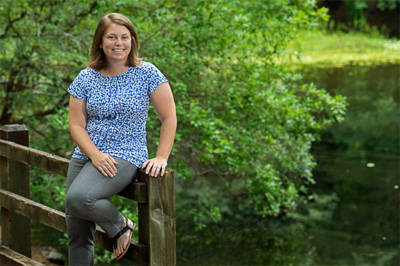 In just six years, Lauren Auton ’12 has gone from a UNCW transfer student to a full-time staff member and graduate student at the university. She currently serves as the assistant for student conduct and community standards in the Office of the Dean of Students. 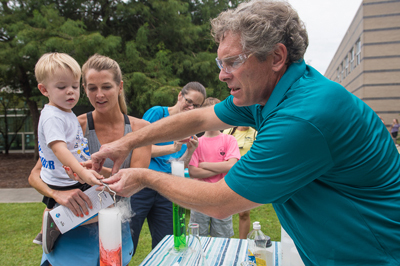 Professor Steve Skrabal, associate director for education at UNCW's Center for Marine Science, shows a youngster the effects of water on dry ice at Saturday's CMS open house and outdoor science carnival.